Run Boy Run are set to release their new album, Something to Someone, on 28 October. In anticipation of the wait, the string heavy, bluegrass specialists have released their next single, Wild Bill Jones, which features some stellar string work and gorgeous vocals from multiple female voices. The band uniquely features a few siblings (sisters, brothers) and has lots of fans. They’ve built up a grassroots following much like Trampled By Turtles did and the album was produced by producers Ryan Hadlock (The Lumineers) and Jerry Streeter (Elephant Revival). Having cut their teeth on numerous projects throughout high school and college, Atlanta natives Jason Travis and Joey Patino formed Sealions in an effort to reach through the apathetic din of modern guitar rock and grasp something inventive and invasive. 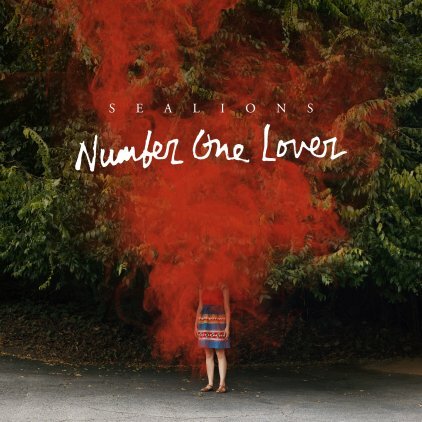 Sealions draws equal inspiration from the fuzzy guitars of 90’s West Coast alternative, the bubbly synthesisers of English new wave and French house and the vocal harmonies of 70’s American super-pop groups. Joined by drummer John Craig and bassist/guitarist Keith Edmiston in 2009, the band continues to float genre lines unapologetically between dance and rock music. The tracks of Number One Lover came together over a number of sessions in Atlanta in 2013 and represents a band at its creative zenith. “[Kingsland] is a great producer”, Patino says. “It took working with him to figure out how to be a rock band. That’s all we did growing up and I think we forgot what it was like to be a young kid thrashing on a guitar.” The opening synth salvo of Honey, the driving, propulsive beat—and thrilling, eventual riffstravaganza—of Luster, the otherworldly majesty of Thieves, the slow build dance party of Diamonds, the heartbreaking tear-jerk of Setting Suns; taken as a whole, Number One Lover is an infectious titan that toys with convention and embraces an affinity for dance. On their debut album Do What You Want To, It’s What You Should Do, London trio Flowers, consisting of singer Rachel Kenedy, guitarist Sam Ayres and drummer Jordan Hockley, synthesise the kinetic energy and raw vulnerability of their live shows into fourteen deceptively simple pop songs. Exploring the gamut of emotions that accompany coming of age, Do What You Want To, It’s What You Should Do’s tracks carry listeners from heartbreak to carefree happiness and everything in between. Do What You Want To, That’s What You Should Do will be released September 9 US via Brooklyn based Kanine Records and September 8 on UK’s Fortuna Pop! Following the premiere of angelic track Joanna on Stereogum, the band has shared the beautiful and haunting video for the track which was composed of footage the band found on the BFI National Archive YouTube page. The video, using footage titled “When a False Step Means Death” from 1921, spotlights a woman named Marjorie Hillick, dancing across an uncompleted New York skyscraper with a smile on her face. The image juxtaposed with the heavenly and operatic sounds of the track make for an eerie yet striking viewing experience. The band has also announced they will be performing at the 2014 CMJ Festival (all confirmed shows below). First, Flowers will have their record launch party September 8 at St Pancras Old Church in London. Youth (Reissue) is a new version of Swedish indie pop band Simian Ghost’s 2012 widely acclaimed album, now with five additional bonus tracks. Formed in 2011 by musician and visual artist Sebastian Arnstrom, the band’s debut album Infinite Traffic Everywhere topped the Critics Chart in Sweden. Now expanded to a five piece including brother Erik Klinga on drums, Mathias Zachrisson on guitar, Maja Agnevik on additional vocals as well as Wilhelm Magnusson on bass, the band has shared stages with Mount Kimbie, SBTRKT, Tony Buck and Niki & the Dove among many others. The five new tracks onYouth, reissued by Austin’s Red Eye Transit, offer up more of the band’s signature sweet pop sound; from the honeyed harmonies of 2012 which recently premiered at CLASH to the joyful breeziness of Echoes in Your Heart, the new Youth tracks exhibit the musical qualities that have earned them the title of “one of Sweden’s most interesting pop acts to come out this year.” (Noisey). Simain Ghost are celebrating the charming video for the title track Youth on The 405; the video was filmed during the band’s inaugural US trip to South by Southwest Festival in Austin, TX. To achieve the timelapse imagery, the band rented out a trampoline park for the day while the festival was going on and produced a bittersweet video that conjures up the feelings of the breezy summer ending. Youth (Reissue) is out September 9 2014 on Red Eye Transit. 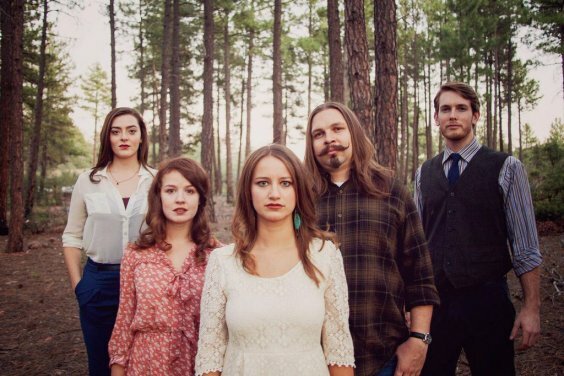 Existing comfortably in the tension between tradition and the musical frontier, Tucson five piece Run Boy Run blends bluegrass, folk and the old timey American vernacular with touches of classical and turn of the century details. The band announced their upcoming album Something To Someone for an October 28 release date on Sky Island Records and shared the first single and album opener Under the Boughs with Performer Magazine (also on Soundcloud here). The album was recorded at historic Bear Creek Studios in Woodinville, Washington with producers Ryan Hadlock (The Lumineers, Johnny Flynn) and Jerry Streeter (Brandi Carlile, Elephant Revival) whose attention to detail shines in Run Boy Run’s multi-voiced and multi-stringed arrangements. The band is brother and sister Matt Rolland (fiddle, guitar) and Grace Rolland (cello, vocals), sisters Bekah Sandoval Rolland (fiddle, vocals) and Jen Sandoval (mandolin, vocals) and bass player Jesse Allen. With three strong female voices, singing separately or in harmony and deeply rooted familial connection to traditional American music, Run Boy Run didn’t come lately to their sound; it’s in their collective blood. The unique sound of the band is rooted in the traditional music of the Appalachian South, continuing a sense of innovation in traditional American music put forth by other bands such as Nickel Creek, Crooked Still and Trampled By Turtles. Run Boy Run continues this journey into music that is dynamic, orchestral and overflowing with beauty. Three strong female voices weave a spectacular tapestry of sound and award-winning fiddle cuts a path for a tightly formed rhythmic front. Every arrangement is – at it’s core – captivating. From winning the band contest at Pickin’ In The Pines (mere weeks after forming in 2009) and a special appearance at the Telluride Bluegrass Festival in 2012 to two appearances on NPR’s A Prairie Home Companion (host Garrison Keillor was also impressed enough that he penned the liner notes to the band’s debut album), they were tagged by Paste Magazine as “One of the top 10 Arizona bands to hear now.” They’ve been making fans across the US with their open-ended musical approach and dynamic stage presence and will take that live show back across the country coast to coast this fall and winter. Something To Someone is available for pre-order here. God Help The Girl is a musical feature film, written and directed by Stuart Murdoch, lead singer of the group Belle and Sebastian. It was produced by Barry Mendel and stars Emily Browning, Olly Alexander and Hannah Murray. God Help The Girl: Original Motion Picture Soundtrack has been announced for a September 2 release date on Milan Records while the film will be released theatrically and On Demand on September 5 from Amplify. In the UK, the film is being released August 16 via Metrodome with the soundtrack to follow on August 18. Stereogum unveiled the new video for the title track God Help The Girl, directed by Murdoch himself and starring Emily Browning in a mix of new footage shot for the music video and footage from the film itself. The soundtrack features three new songs by Murdoch that are sung by the cast: Pretty When the Wind Blows, I Dumped You First and the little ditty I’m Not Rich. All of the other songs have been re-recorded and/or remixed with performances by the cast with the exception of Dress Up In You from Belle & Sebastian’s, The Life Pursuit. Half of the songs were recorded live during the making of the movie with different musicians than the originals. There is dialogue and score interspersed throughout the soundtrack too, all intended to create an impressionistic audio version of the film. The music takes centre stage and many songs resemble in their musical aspect the other work of Stuart Murdoch and Belle and Sebastian. The film was shot, edited, scored and will air in exclusive UK screenings 16 August and opens widely in the UK on 22 August. In the US, it opens 5 September in New York and Los Angeles followed by additional markets on 12 September. It will also be available at iTunes, on demand and on the official God Help the Girl site beginning 5 September. The soundtrack is out 18 August globally and 2 September in the US via Milan. You can pre-order it here.